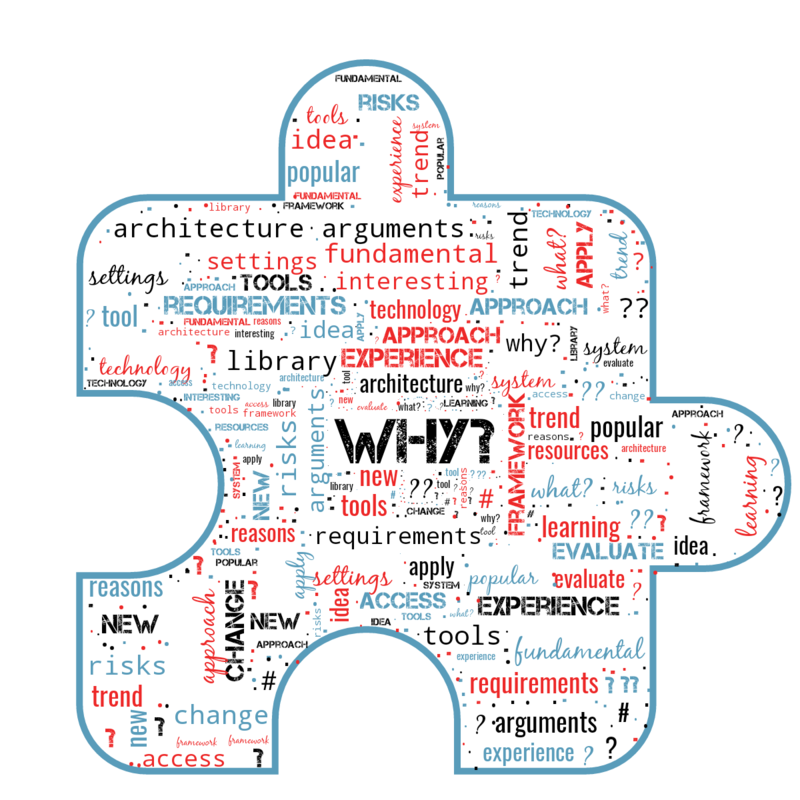 When I read an article or a book about architecture, framework, approach, or tool – I focus on “why” it was built or applied one way or another. Not “what” they did, not “how exactly” they applied it – but “why”. Read here to know “why” I think it’s important. What interests you when you read an article or a book about an architecture of some big system, or about new frameworks, or design patterns, or some new fancy tools? To me, the most interesting thing is why they did it like they describe. Want to get new articles by email? Please subscribe! I solemnly swear to send you only interesting articles about software development! C++ From The Past – I found C++ and OOP lectures I wrote back from 2008! WordCloud: I Got A Present!